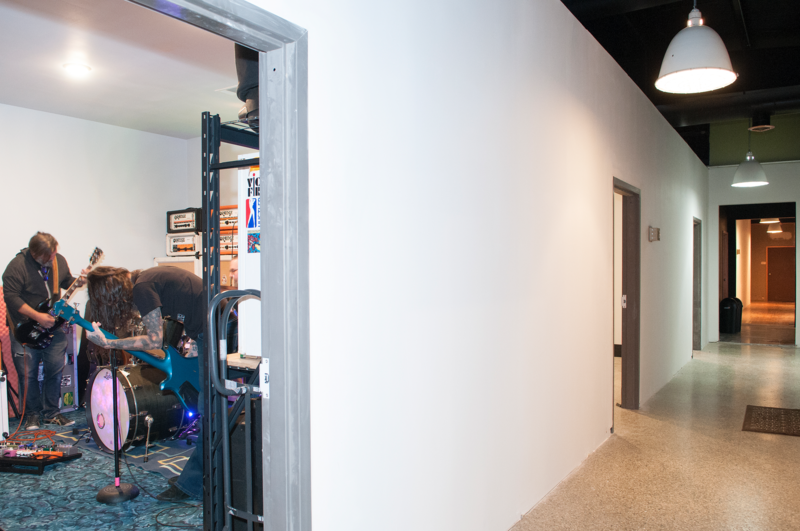 When Thunderbox Rehearsal Studios fell prey to Atlanta’s ongoing live-work-play face-lift in May 2015, countless local musicians were left without a place to practice. Some stopped playing music altogether. Others made due with storage sheds, living rooms and other studio spaces in the outer reaches of the Perimeter. One band, stoner-doom metal trio Order of the Owl, retreated to the wilds of rural Powder Springs where its members held band practice in a basement on drummer Dwayne Jones’ family farm. “It was kind of brutal for a long time,” says guitarist Casey Yarbrough. He describes the long process of driving home from work in Chamblee, picking up singer and bass player Brent Anderson, and making the long drive out to Powder Springs. “It was a solid four hours of driving every time we wanted to get together for practice,” Yarbrough says. All of the changed Feb. 1, when Order of the Owl became one of the first groups to sign a lease and start practicing at Ember City Rehearsal Studios, the newly opened practice facility is owned by Atlanta metal titans Mastodon. Guitarist Bill Kelliher oversaw the build out and runs the space in the Capital View neighborhood near the West End and Adair Park. Ember City houses 10 practice rooms of three different sizes — 225, 250 and 300 square feet. Rooms filled quickly after the Feb. 1 soft-opening date. In addition to Order of the Owl, other bands including MotherEarth, Legion X, Sons of Tonatiuh, Whores and more settled in at the new facility. As of press time, all but one room was filled. Atlanta Rockstar Rehearsals occupies two rooms at Ember City, providing hourly and daily rates to bands who can’t afford to, or don’t need to hold onto a practice pad. Each of ARR’s rooms are available for specific projects. Backline and other equipment needed for demoing songs, practice sessions or whatever else musicians need is also available. If you're interested in more information regarding Ember City, send an email to butterslax@hotmail.com.